God was with Joseph and things went very well with him. He ended up living in the home of his Egyptian master. His master recognized that God was with him, saw that God was working for good in everything he did. He became very fond of Joseph and made him his personal aide. He put him in charge of all of his personal affairs, turning everything over to him. From that moment on, God blessed the home of the Egyptian — all because of Joseph. The blessing of God spread over everything he owned, at home and in the fields, and all Potiphar had to concern himself with was eating three meals a day. It’s not where you are – it’s YOU that God is blessing. God has favor on YOU. Being in the favor of God means you’ll be blessed no matter where you are. You walk in a room you are the blessing of that room. There is no weak economy in Heaven. There are no droughts in heaven. There are no emergency meetings in heaven. 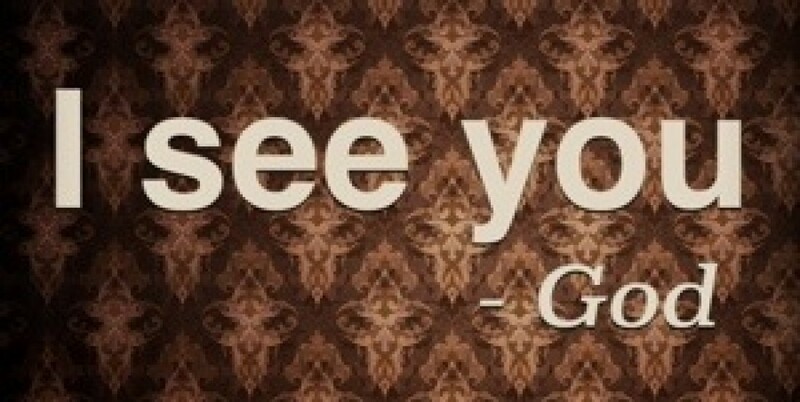 In Genesis 13 we see Abram and Lot, uncle and nephew, separate. Lot chose the lush lands of the east. Abram chose the desert and prospered there. In God’s economy, there IS prosperity in the desert. When you walk into that job, that home, that position – it’s you that has the blessing and the favor and you bring it with you. God is working through our obedience in Spiritual gifts and professional skills. And, as Joseph’s life reminds us, His purposes stretch from countryside pastures to household financial services firms, from prison administration, to the halls of political power. May he find us faithful where we are. Everywhere we are. You are the light of world. You carry the light with you. What happens when you walk into a room and flip the light on? Light always wins. No fear. Allow God to be the Author of your hopes and dreams —your definition of success. 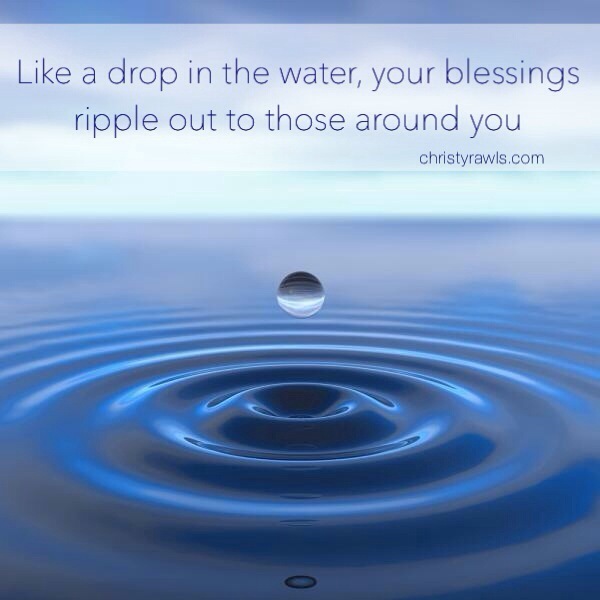 Like a drop in the water, your blessings ripple out to those around you. He will bless your work and it will bless your employer, colleagues, clients, customers, vendors, your town. He will bless you and it will bless your family, your friends, your church, your marriage. Think you’ve gone too far, or made too many wrong turns? God uses broken things. He uses crooked sticks to draw straight lines. It takes broken soil to produce a crop, broken clouds to produce rain, broken grain to give bread, broken bread to give strength. It is the broken alabaster box that gives forth perfume. It is Peter, weeping bitterly, who returns to greater power than ever. We can all learn a lesson from Peter: In Matthew 14:22-33 Peter walked on water, but as soon as he took his eyes off of Jesus and onto his surroundings, he began to sink. Don’t look at your surroundings no matter how crazy they seem. Keep your eyes on the Master. He’s the source of power. He’s your confidence. And, remember this. Don’t forget it: the credit is all His. Take less credit and more confidence in Him. It’s not who you are, it’s Whose you are. Lord, thank You for blessing us. Thank You for reminding us that your blessings go with us wherever we are and that our calling doesn’t stop at the church building. You bless us and use us wherever we are in all that we do at home and at work…..and those blessings bless others. Thank You for Your favor. May we be mindful and faithful in all we do. As we go about this next week and all the days following, may we remember to live second. May we remember why we’re here. For Your honor. For Your glory. In Jesus name. Amen.